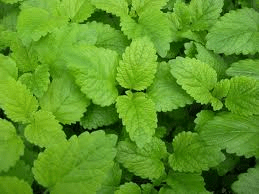 Lemon balm is a wonderful plant, she is pretty in the garden as well as in a tea cup. olds may wonderful herbal properties, one is to “calm” the nerves, without making you sleepy. This is a great herb to use to calm anxiety, restlesness, and that “antsy”feeling. This is a wonderful her to give to children, it has a wonderful taste and can be adapted in so many ways in foods, juices, frozen treats. It can now be even found in the vitamin section of your store in “gummy bears”, children love them! We have been using it for ADHD, Autism and other issues for children. drops of lemon balm glycerites also helps with the ease of going to sleep, staying asleep and scaring away the closet monsters. I love using it fresh, but you can also buy tea bags with Lemon Balm and other helpful herbs for chidren having sleeping issues.